At Boiler Services Dublin we aim to provide our clients with all the boiler information they require to make an informative decision on service, repair and replacement. As leading industry experts we want you to make the right decision when you need to. Unlike some of our more unscrupulous competitors we are here to help you and not line our pockets. We do not charge exorbitant prices and provide the product or service you may not actually require. We have been operating in Dublin for over forty years now and our reputation is second to none. All of our technicians are fully qualified plumbers by trade. They are all R.G.I. registered. The difference between us and general plumbing companies and single operator plumbers is that our staff decided to specialize in the industry. If you can imagine how many makes, models and different types of boiler. There have been so many boilers manufactured over the last 40 years, the number is huge. If you require boiler information, be advised you should take it from the experts. Boiler Information supplied by Boiler Services Dublin. 8 Reasons Boilers Breakdown during the winter. Types of Boiler the Pros and Cons. 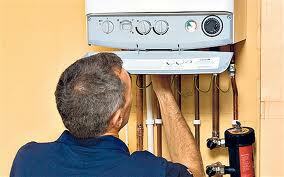 We operate a 24 hour, 7 days a week emergency boiler repair service without a call out charge. This means you will never be left freezing in the winter. We arrange times that suit our customers. This could be early mornings, evenings or weekends at no extra charge. We can give you unbiased boiler information that will help you make your decision if you need a boiler replacement. We have some of our senior staff having with over 35 years experience within the boiler services industry. If you need to speak to an expert, call us today on 01-8326699. We will be happy to give you a no obligation quote on servicing, repairing or replacing boilers or offer you any professional boiler information you may require.